"It’s a rare 3-in-1 creation that’s both gorgeous and practical." "You don't realize how vital a centerpiece for your backyard is until you see the Tower." "They have brought together the best parts of a fire pit, charcoal grill, and wood smoker"
"We're not mad at the time it took to get here, just happy it came in our lifetime." 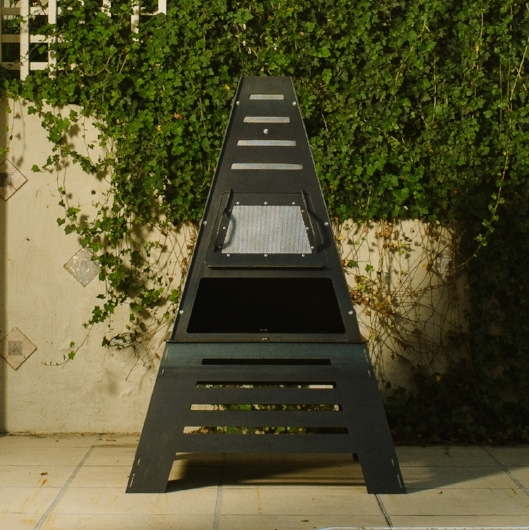 "Pyro Fire Tower is a real sight to behold and will add a focal point to any backyard." "There’s no reason you should purchase a fire pit now that the Pyro Tower exists"
"This beautiful and fully-functional centerpiece is great for decorating outdoor spaces around your home. Its chimney-like contemporary design is a unique aesthetic addition to outdoor spaces." "Guaranteed to put your neighbours to shame, the Pyro Tower will easily give you the controls to master any fire regardless of the season. This is far from a typical fire pit, but a fire station that will command attention."